Seems pretty self-explanatory, right? We lose weight to look and feel better. But there are other reasons to lose weight too. I’ve mentioned in my page My Fat History that when I was 250, I had high blood pressure and I was pre-diabetic. I also had high cholestrol. Don’t let the numbers confuse you. There are two numbers, the one on top and the one on the bottom. For example: 120/90. *The top number is your systolic pressure, the pressure created when your heart beats. It is considered high if it is consistently over 140. 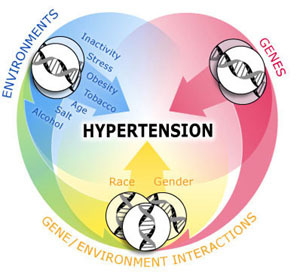 *The bottom number is your diastolic pressure, the pressure inside blood vessels when the heart is at rest. It is considered high if it is consistently over 90. 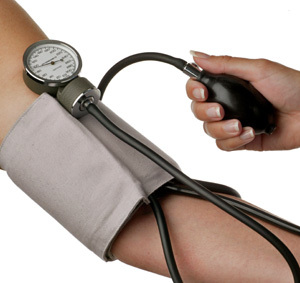 At my heaviest, my blood pressure was about 140/100. That’s very high. The lower number is the dangerous number. I had my yearly physical yesterday and my blood pressure is now 110/60. I no longer have high blood pressure because I lost weight. My resting pulse yesterday was also 68. A “normal” resting rate is between 60-100. Lance Armstrong’s resting heart rate is rumored to be 37. 37!! 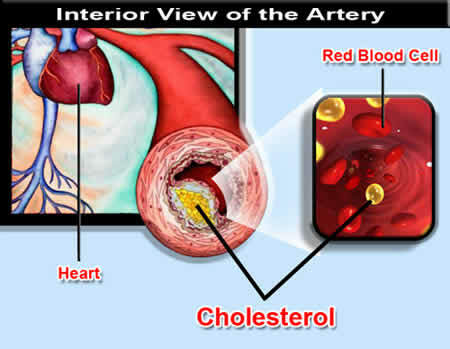 High Cholesterol can lead to stroke, heart attack and death. A high range is 200–239 mg/dL, which is Borderline-High Risk. Less than Less than 200 mg/dL is desired. It was well over 200 when I weighed 250. My current Cholesterol level is 160. Have I convinced you yet? Losing weight DOES improve your health, whether you can see it or not. I also talked to my doctor about my seemingly constant hunger. She said it was probably a combination of high metabolism and also eating refined sugars. She said that eating refined sugars spikes my insulin level and that creates hunger in the body. I know I eat too many refined sugars. That’s something I struggle with every day. But I had no idea it spiked my insulin like that. She also recommended learning about the low-glycemic diet. My goal is to get a book on it and learn more. When I first read a book about it last year, I dismissed the concept because counting calories was working for me. Why fix what isn’t broken? But now that I’ve lost the weight and I’m training for things, I feel like I need to know these things. QUESTION: Why do you want to lose weight? And do you follow the Low-Glycemic diet? Thanks for reminding me why I need to keep up with my health kick even when the pounds don’t seem to be coming off – exercise and eating healthy are important for so many other reasons and you’ve helped to keep my motivation up! I do follow the GI Diet, it was recommended by my doctor because I am insulin resistant. It was hard at first but now I really like it and I feel much better, down 24lbs and at 200 I’m almost out of the 200s for the first time in years. Is there a GI book you recommend? I wanted to lose weight to look and feel better, but also to avoid the health risks associated with obesity. My dad has every weight related condition in the book – – high cholesterol, high blood pressure, Diabetes Type II, heart disease, sleep apneia… I knew I was on the same path if I didn’t change things, and that wasn’t where I wanted my path to go. Beth those are all excellent reasons to lose weight! I had a similar revelation when I thought about my dearly departed grandfather. He had so many health problems and I knew I didn’t want to be that way, either. Low gycemic is awesome! I was on a plateau for…gulp…a couple of years. I’ve cut out simple sugars (always high glycemic) and the pounds are coming off again. Good luck, good to hear your health stats are good! And you look great!